The Gold , Silver ,Rings , Coins and other treasures are always amazing to find when deep in the woods or swinging your stick on the beach . Locating a site after a long period of research is even more satisfying . But occasionally ....... Every once in a great while ... We get to punctuate History . Every Now and then what we do in our hobby can actually make a mark in a History Book . Well myself and Detect America BEACH PIRATES John Mainiero and Bob Brown recently experienced that Once in a Lifetime opportunity. We've all heard the name Benedict Arnold , and most of us know that he is tagged as a Conspirator and Traitor against the Flag of the USA ,But he wasn't always that way . He was actually at one time considered a War Hero , having been wounded several times in battle . So what changed , Why did he turn on his country. Well several things contributed to the demise of Arnold's US military career . General Arnold had not been paid by the nearly bankrupt Continental Congress in several years and instead of being praised as a hero , Military leaders wanted him to retire from duty. This Ticked him off a bit . Add this with his beautiful New Wife Peggy Shippen of Philadelphia putting the bug in his ear, that he would probably get more respect and glory wearing a British Uniform, and you have the stage set for treason. Benedict Arnold was installed as the leader of the permanent Military presence in Philadelphia . One of his duties included being the supervisory Officer overlooking the seizing of goods coming into various ports under the British Flag . Many of these ships came into the colonies via a few small ports in Southern NJ . The arrived here as they thought there was less of a chance of being discovered . The business of Seizing property by the US Military was good , so much so that a Warehouse in the area was designated as the Storage hub for these items . General Benedict Arnold was put in charge of this Warehouse and the operation surrounding it. Being that the Warehouse was some 50 miles away from Philly , Arnold needed to set up a satellite HQ near the operation . Enter the WHITE PINES TAVERN , Benedict Arnold's HQ of operations in South Jersey. Now Let's just say the White Pines Tavern is NOT !!! the actual name of the site ... But out of respect for the property owner's privacy ...we have to be a bit blurry on some specific details until the Video and the story is released in publications. Maps contributed to the disappearance of this Historic site . The Biggest hurdle we had to overcome was treasure hunters who put their theories into print . These wives tales took on a life of their own and made the potential location of the White Pines as much as 20 miles from it's actual location . For years we looked for locations that had multiple Taverns on the site because those who had looked before said the location was the site of 2 or even 3 Taverns ........ and that was the first key to unlocking the secret. We came upon old Maps of the area with hand written annotations . Initially the site looked to have had several Taverns on it as several names were written there and were attributed to the site ... But like we've preached for years ... Old Maps can be deceiving . When we started to look up these names in census reports over 250 years ,we learned that all the names did belong to the White Pines site , BUT none of them were alive during the same time period . Each name seemed to take over the site about the same time as the previous name died. POW like a lighting bolt to the head it finally hit us . We weren't looking for multiple Taverns ..... We were looking for 1 Tavern owned by multiple people over the course of 250 years.
" The White Pines Tavern " The letter was very descript .. Detailing an unmarked road that intersected the Tavern site and traveled deep into the woods where it ultimately intersected a series of Mills , also under the purview of General Arnold. 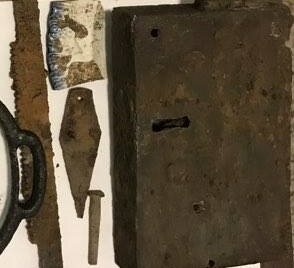 Now the pieces of the puzzle were falling into place and the picture of The White Pines Tavern and its part of the Revolutionary War's spy Network was starting to take shape . Troops were dispatched to the White Pines Tavern by General Washington , Where they met facilitators who took there wagons deep into the woods and gathered needed supplies from the nearby mills .They returned to the Tavern and the goods were returned to the troops in need all under the cover of the dense and remote woodlands that existed between Southern NJ and Pennsylvania. 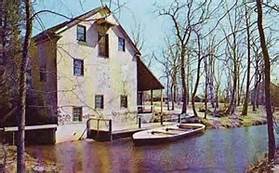 The Mills provided a wide array of goods and sat on a tributary by which the contraband could be easily floated on Flat boats to a meeting spot in the forest. We Now had an accurate picture in our heads of what the site looked like , At least from a mapping point of view .... A fairly wooded and remote site ,away from the hustle and bustle of the neighboring Mill Towns ,yet close enough to be hidden in plain site . A tavern was a great location . Regular flows of people in and out was an awesome way for Gen Arnold to keep his endeavors secret and no one would notice the ruffian types of people who were covert operatives of General George Washington. It had to be seated in a relative proximity to the Tavern's Namesake road which was in the area and ,had to have a long gone road which gave access to the Mills located several miles into the woods . LOL what we really needed was some LUCK. Never underestimate the power of luck or wishful thinking . Our Next step was to start the begging an pleading process of getting permissions to explore some of the numerous sites that might fit the frame of what we were looking for . As fate would have it we started our search in what we considered the most obvious site , and as Luck would have It, the ONLY !! site we manage to get a permission for . This permission was in the pocket of pirate ,Doctor J , Dr John Mainiero ,for nearly 2 years , but it was very overgrown and difficult to navigate ... But the winter had set in , The brush was low and this was our chance to check it out. As we entered the property we had a chat with the owner . He was clearing debris ,small trees and leaves from the site as he was landscaping the area . 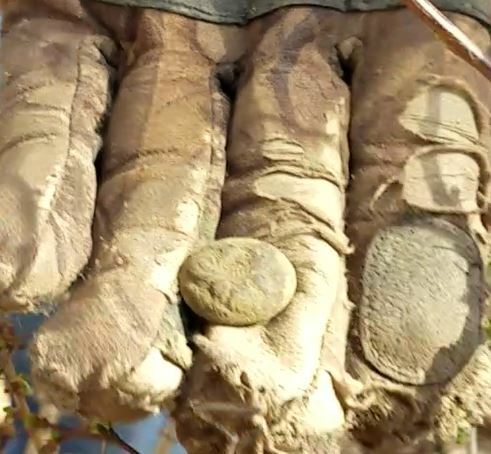 He said many of the trails found on the site were already there , he simply cleaned them up and scraped them a bit so he could ride motorcycles and walk the property more easily .​ The guys started spreading out through the site and IMMEDIATELY started hitting tagets ... a half Reales , a Large cent and some relics .. It was starting to look good . There were 4 Keys to a positive ID of this site . Location ,which we had just, west of a 250 year old road which was named for the site . 2) The Tavern Foundation ... which after a couple hundred years probably was gonna be difficult to produce . 3) period relics ,which we had started to pop the minute we set foot on the site and 4) The Unmarked Road which connected the Tavern Site to the Mills located miles away through the woods . We were hoping for 3 out of 4 . ​ Along the West edge of the property was a Trail , Cleared by the owner which continued miles into he woods ... Historic Aerials show this road was visible as far back as 1929 and ran right to the tributary and mills that were under the purview of Benedict Arnold in 1778 /79 . So my Coil hit the ground on the exposed portion of the trail that was available to us . I started swinging at the farthest point on the property in the direction of the mills .. I scanned about 6 feet when The machine started singing ...BANG !!! My first signal on this trail was a 1770's Half Reales , another was found in the spoils pile left by the owner after scraping the road . A 1 reales coin was pulled from the other end of the trail and an 1787 NJ Copper was taken from the dead center . in addition to Colonial shoe and Knee buckles and camp tool parts . YEP ... pretty sure I'm on the Road and 3 of our 4 ID criteria were met in the first hour of being on the site . Meanwhile Pirate Bob Brown is probing an area that has interested him since we arrived at the site . An area at the front end of the property over grown with Briars as think as small trees and Briars visible on the Aerial photographs since 1929. Within 30 minutes Bob yells out that he FOUND IT . 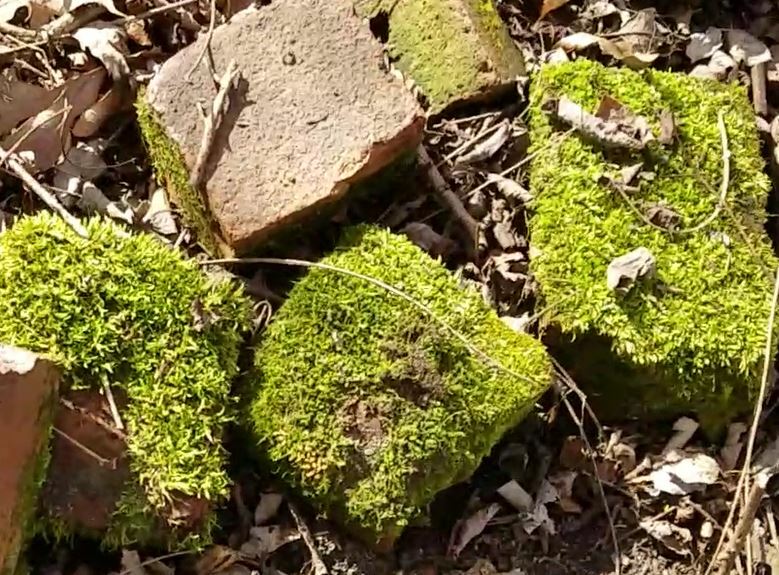 He had burrowed a path through the heavily Thicket covered area right onto the Tavern Foundation ,complete with hearth pile and littered with Moss Covered Bisque Brick and starting to give up some history we could hold in our hands . 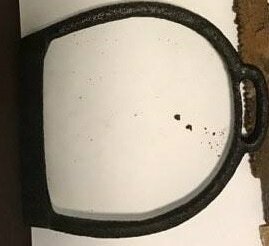 An early Large Cent , a Colonial Era Iron Stirrup and a CW Eagle Button were some of the first pulls from the foundation . 150 year span of relics told us that Colonial was Not the only era of artifacts recovered here , and that fit perfectly with the dates of existence of our little "White Pines" Dating the site from around 1750 to the time of its demise around the Civil War . Pirate John Mainiero worked an area in the Body of the site behind the Tavern to the rear of the property where pockets of coins and artifacts were located possibly indicating camp sites or other smaller gathering areas . 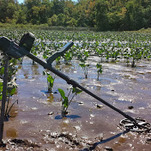 Multiple Spanish Reales and colonial relics were pulled from this area and are still being pulled today . ​With All 4 of our Criteria met ... LOCATION , FOUNDATION , ROAD and ARTIFACTS . We have officially locked down the location of The Benedict Arnold HQ site in Southern NJ . 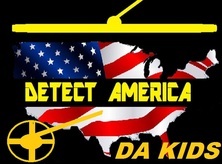 The amount of corroborating evidence that keeps coming out of the ground daily is mind boggling, and the DETECT AMERICA "Hunting Benedict " project is now the subject of a video and Articles for hobby and historical publications as well as upcoming News broadcasts ... Finding Treasure is always fun but actually putting some punctuation on the history we've only read about is the real prize . Its going to take a lot to top this find for us but the fun is in the Hunt and we will continue to work this site while keeping our eyes peeled for the next adventure .